ATI’s much awaited 6000-series graphics line has just been unveiled and will be available for public consumption soon. In response, Nvidia dropped prices for it’s GTX 470 and GTX 460 1GB (now just $199 wow!). 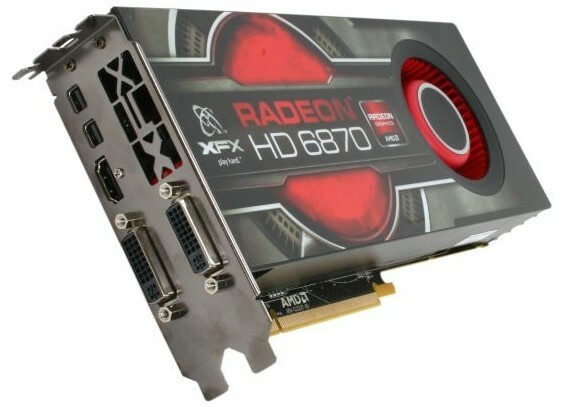 The Radeon HD 6850 is equipped with 960 stream processors, a 775MHz core clock and 1GB of GDDR5 memory at 1GHz while the HD 6870 with 1120 stream processors and 900MHz / 1,050 MHz clocks respectively. If you’re wondering ATI chose this naming scheme, the company says it’s to keep from confusing customers as they will keep the 5700-series, the Cypress chips that will be replaced by the 6800 series, in production. The HD 6870 is priced at $180 and HD 6850 $240.